Notebooks are really handy when you are looking to draft your creative projects- be it a design or a textual piece. 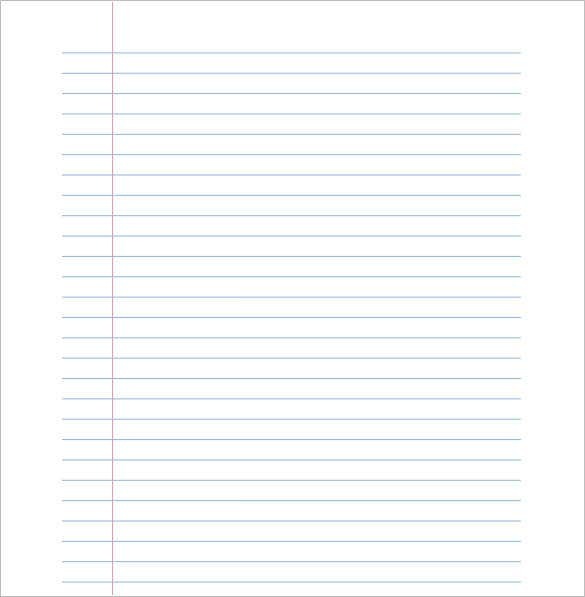 Now, what if you don’t have a notebook at hand? 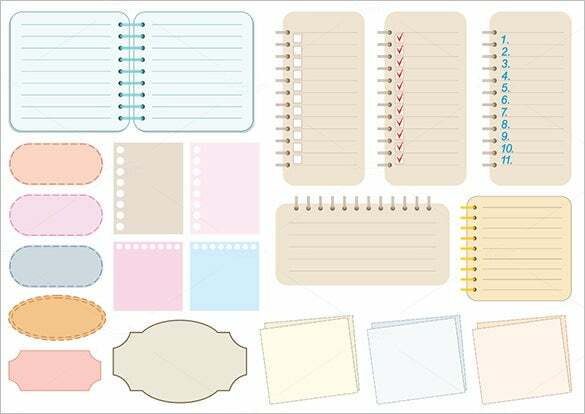 Well, not to worry as the virtual world offers free download notebook paper template format which you can save and print out for your creative practices in Cookbook Templates. 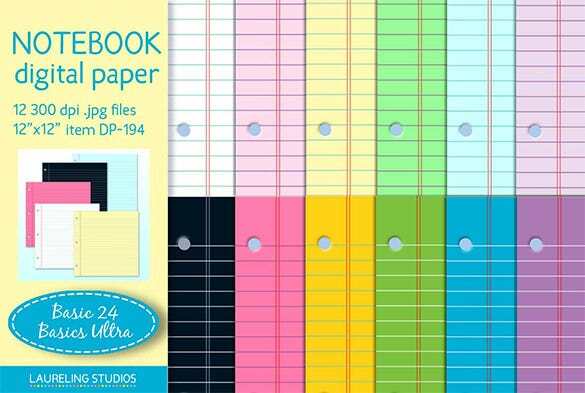 A colorful notebook is always charming & its vibrancy renders extra fuel to inspire brilliant designs within you. 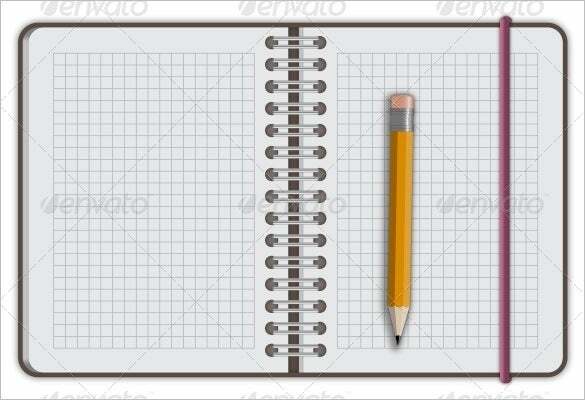 The notebook pages measure 12” by 12” and you are getting 12 pieces here. 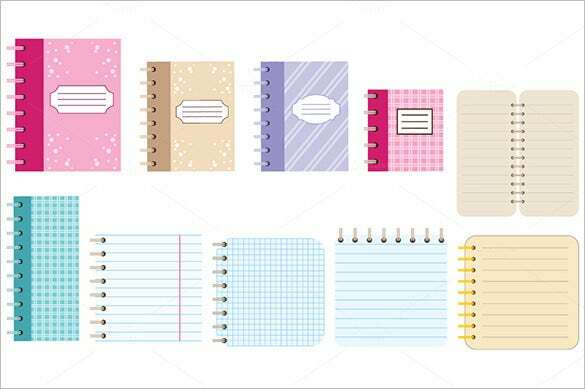 A lined notebook assures easy organized writings with proper space in between the lines. 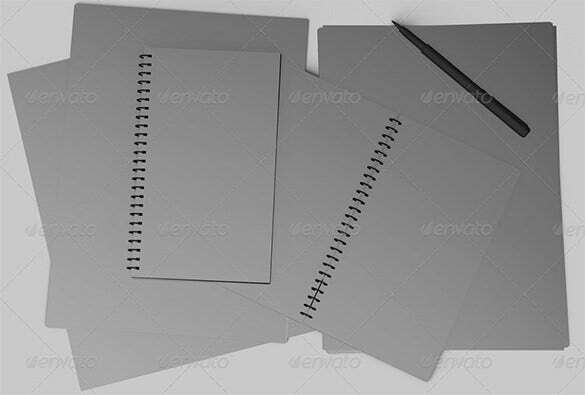 The template here offers various lined notebook formats to choose from as per your preference & convenience. 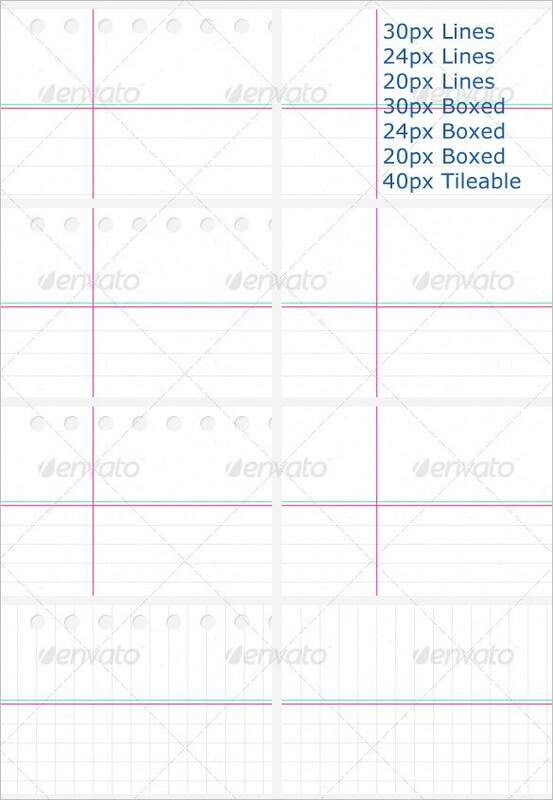 You are getting a wide-ruled notebook template here that will assure neat writing sans the issue of overlapping lines. Moreover, you are also getting checked pages where your kids can practice math homework. 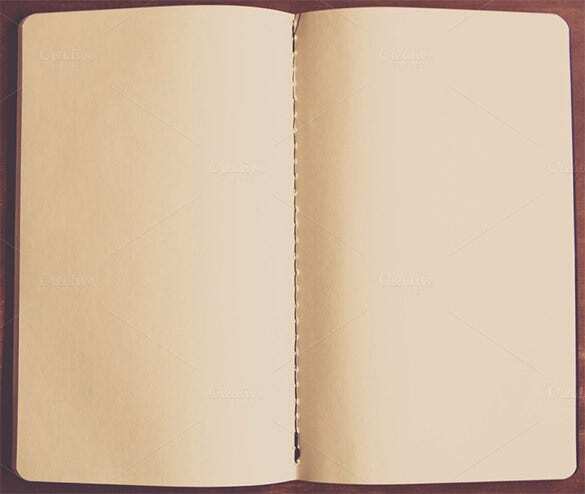 Matured hands do not bother about lined pages and mostly prefer a blank notebook to jot down the notes. 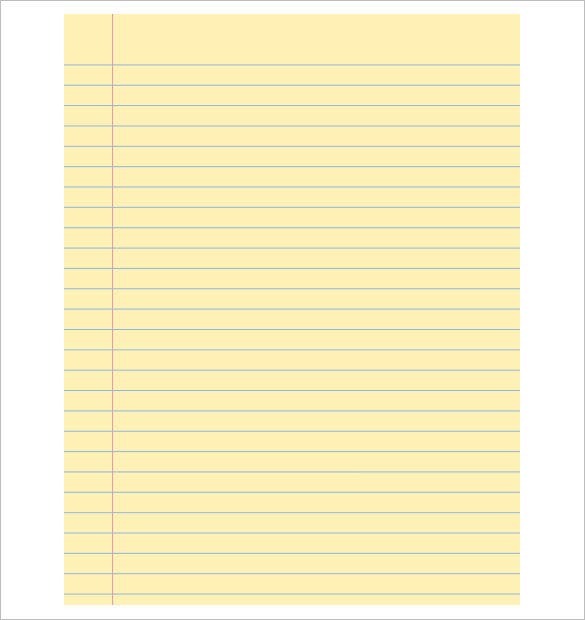 This template assures such a convenience and the faded feel offers a nice vintage aura. 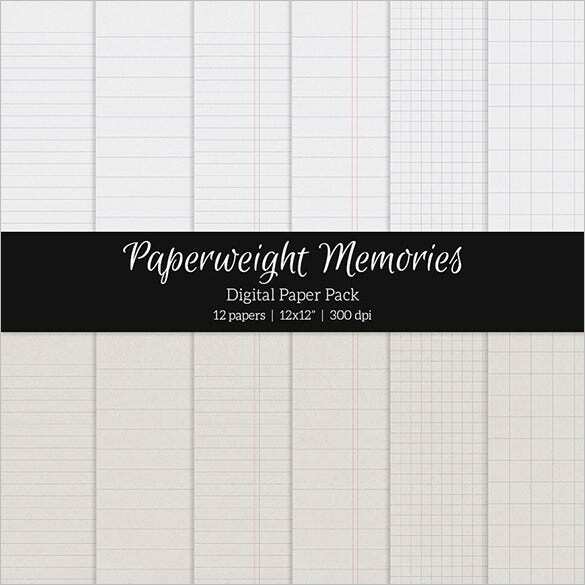 The notebook template here comes with four different views to pick from. You will be able to control different aspects of the template such as light, reflection, shadow, color & speculation. 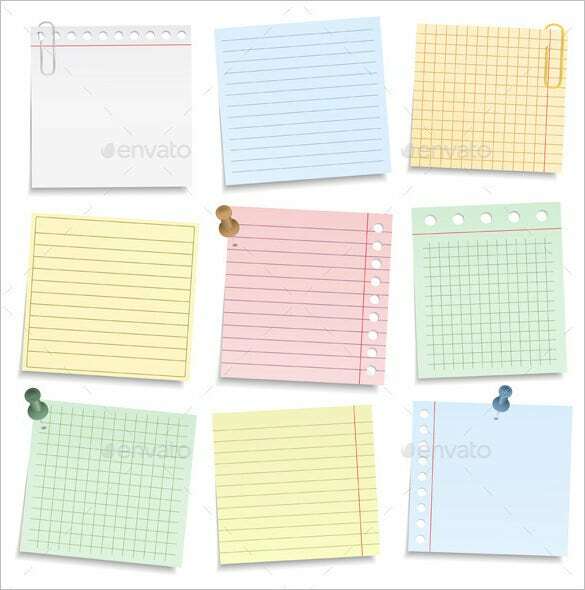 You are getting notebook paper template in a wide range of formats here for your smartboard. There are square shaped ones, rectangular ones, oblong ones and also some with ornate pattern. Most of these templates are easily resizable with the need of pixelation. You will be getting readymade loose sheets waiting to be worked on by your creative inputs. 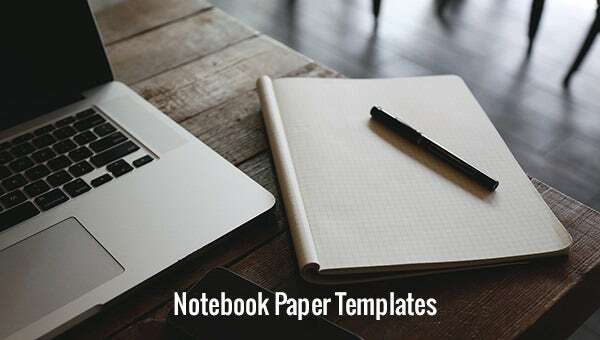 As you are getting Sample notebook paper template Example online you won’t have to worry about any additional expense for a notebook.